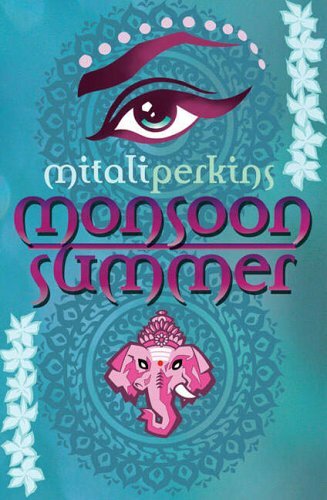 Here's the Simon and Schuster UK cover of Monsoon Summer. Why is there an elephant on the cover? There's no mention of an elephant in the book. I love the colors, though, and the Eye. It's fascinating that publishers routinely assign artists to design new covers when books cross the Atlantic. Are young audiences in the UK that different than their counterparts in America?